If you missed the Convection Lab on Friday, get a copy from Benson, watch the videos of Part A of the Convection Lab and Part B of the Convection Lab, and do the questions on the lab handout. The optional assignments are due Friday: Periods 1-4-7 do 1-20 page 553. Periods 3-6 do the "Give it some thought" questions 1-11 on pages 519-520. Students will watch a 30-minute video and then have time to finish the lab questions from Friday. If you were gone, watch the first 29 minutes of this video. Attention honors students: The MESPOWs this week are #23, #41, #88. We will go over the Convection Lab and then students will do a map activity related to wind. Students will be doing activities with the Link Crew leaders today. Students will do a lab ("Convection"). If you were gone, get a copy of the lab from Benson, watch the videos of Part A of the Convection Lab and Part B of the Convection Lab, and do the questions on the lab handout. Students can come in this week to make corrections on their recent test. Honors students can do this if their test score was below 70%. Students will take notes as Benson explains humidity topics. Attention honors students: The MESPOW this week is #61 - read it carefully (there will be an essay question on the next test about this topic). We will go over the recent test and then students will do a lab to find out what the relative humidity is today. If you were gone, watch this video. Students will take notes and watch demonstrations as Benson explains the basics of "cloud formation". If you were gone get a copy of the notes handout, copy the notes from a classmate, and watch the video below. If you were gone, watch this video AND the one at the bottom of this web page. Students will do a lab titled, "What's the Recipe for a Cloud?". If you were gone, watch this video. Question of the week: Tell what Chinook Winds are, and explain how they become warm. This is due on November 30. Your score on this assignment can be used to replace your lowest non-test score. For periods 1-4-7, do 1-20 page 499. For periods 3-6, do 1-12 page 485. Attention honors students: The MESPOW for this week is #18. We will watch the last 15 minutes of the video (From the Ashes) and then discuss the video. We will go over the recent Temperature Worksheet and then learn about temperature inversions. We will review for the test and then play a Kahoot review game. A study guide will be provided. Students will take the test and then read pages 504-509. We will do an introductory lab activity: Understanding Humidity. November 13-14 . . . Short week! Assignment: Worksheet due SOC tomorrow. We will continue watching the video titled "From the Ashes" (about the role of coal in modern USA). This is due on November 30. Your score on this assignment can be used to replace your lowest non-test score. For periods 1-4-7, do 1-20 page 499. For periods 3-6, do 1-12 page 485. Attention honors students: The MESPOW for this week is #104. We will review some important concepts from last week, and then students will finish the graph activity that we started on Friday. It is due at the start of class tomorrow. Students will listen and take notes as Benson explains "The Hole in the Ozone Layer". If you were gone, get a copy of the notes handout and copy the notes from a classmate, read this web page and watch the video of the week below. We will have a notebook entry - Benson will explain acid rain, and then we will start watching a video called "From the Ashes'. Attention honors students: The MESPOWs for this week are #111 and #123. All of the science teachers will have subs today, so students will do a worksheet. It is due at the start of class tomorrow. Students will take notes during a presentation on climate change (aka "global warming"). Periods 1-4-7 should read pages 602-603. Periods 3-6 should read 594-601. Also, check out this climate change graphic. Students will work on a graph activity - "Climate Data from the Past". . . to be continued on Monday. It is due on Tuesday. If you were gone, watch this 3-minute video. Students will continue working on the Island Watershed Activity. It is due at the start of class on Friday. Honors students - MESPOWs are due on Friday: #91 and #123 (read them both, pick one to do with the WS). Benson will have a sub (science teachers will be at science curriculum meetings). Students will watch a video called "The Last Extinction". If you were gone, get a copy of the video worksheet and fill in the answers as you watch it online here. We will go over the recent Map Activity: USA Basins, and then start working on the Island Watershed Activity. Honors students - There is no MESPOW this week. Instead, you will do an assignment called Intro to the Bakken Formation. It is due SOC Friday. Students will continue working on the Island Watershed Activity. It is due at the start of class on Friday. We will go over the recent Map Activity: Montana Rivers. Students will continue working on their islands. Students will continue working on their islands. We will go over the WS from last week. Benson will elaborate on several topics covered on the WS. Students will do a map activity called (USA Drainage Basins). If you miss the map activity, get a copy of the packet from Benson, and complete it. Students will watch the first 25 minutes of episode #6 on this site and then be given time to finish the map activity that we started yesterday. Students will start a map activity called "Montana Rivers". If you miss the map activity, print out a copy of the make-up assignment here and then watch this Montana Rivers PowerPoint. Students will finish the "Montana Rivers Map Activity". Students will watch a video called "The Day the Mesozoic Died". If you were gone, watch it here. Honors students: The MESPOWs are #73, and #103. Students will do an activity to help them understand the rock cycle. If you were gone, carefully read pages 67-69 (honors pages 52-54) and take a look at this animation. Students will do a station to station activity related to recent topics. If you are gone, periods 1-4-5 do "Reviewing Content" 1-10 on page 89 (honors do 1-10 on page 78-79). NOTE: The monthly optional "replacement assignment" for periods 1-4-5 is 1-22 on page 303. Honors students - Your "replacement assignment" is 1-10 on pages 292-293 of your text. Optional replacement assignments are due the last day of the month. We will go over a recent lab and then students will do a WS. Honors students: There are no MESPOWs this week. Students will watch a video about the Alps. Sea Creatures in Glacier Park? Video of the week . . .
February 13-17 . . . Test on Thursday! Students will do a group activity related to igneous rocks. If you were gone, read text pages 72-74 and do questions 1-7 on page 74 (honors read 57-60). We will return and go over several recent assignments/labs, and review for the test (Kahoot). A study guide will be provided. The photo below may be helpful in preparing for the test. NOTE: The monthly optional "replacement assignment" (for period 1, 3, 4) is 1-22 page 303. Your score on this will replace your lowest non-test score so far. Honors students - Your "replacement assignment" is 1-10 on pages 292-293 of your text. We will go over several concepts from last week, and then students will take notes as Benson explains several aspects of mineral formation. Students will watch a video. If you were gone, you can watch the video here..
Students will take notes as Benson explains "plutonic formations". If you were gone, read through the Crown Butte Virtual Field Trip and then take a look at this animation (4 parts). Read pages 295-297 (honors 276-280). 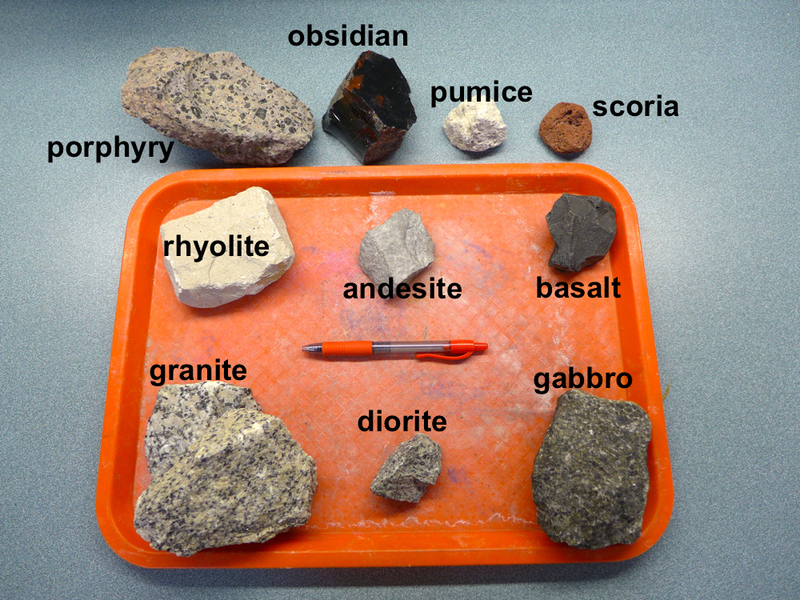 Students will take notes as Benson explains various types of igneous rocks. Read 70-74 (honors pages 55-58). Students will do a lab to determine the density of different types of igneous rocks. If plutonic formations form beneath the surface, why can they be found standing above the surface today? Students will continue taking notes as Benson explains various hazards associated with volcanism. See links below if you were gone. Period 1-4-5 students will watch a video called Earth's Deadliest Eruption. Period 6-7: Benson will explain 3 great eruptions. Read this if you were gone. MESPOWs for this week (honors) are 71, 80, and 89. Period 1-4-5: Benson will explain 3 great eruptions. Period 6-7 students will watch a video called Earth's Deadliest Eruption. Students will do a lab to called "Magma and Lava". If you were gone, read pages 70-74 and do questions 1-7 page 74 (Honors: Read 55-60 and do 1-7 p. 62). Students will take notes as Benson explains various types of volcanic formations. If you were gone copy the notes (handout) from a classmate. How can geologists determine whether an igneous rock formed from lava that cooled above the surface, or from magma that cooled beneath the surface? January 23-27: Second Semester Begins! We will discuss the semester grades, and then students will be given time to start an assignment (WS: Intro to Volcanism). Attention honors students: MESPOW this week is #111. Periods 1-4-5 students will take notes (on handout) as Benson explains basic concepts related to volcanoes. If you were gone, take a look at this animation. Periods 6-7 students will do a lab - "What happened at Lake Nyos?" If you are gone, read this and watch this video. Periods 1-4-5 students will do a lab - "What happened at Lake Nyos?" If you are gone, read this and watch this video. Periods 6-7 students will take notes (on handout) as Benson explains basic concepts related to volcanoes. If you were gone, take a look at this animation. Periods 1-4-5 will watch a video - "Mystery of the Meagavolcano". If you were gone, be sure to watch it HERE. Periods 6-7: Benson will explain various hazards associated with volcanoes as students take notes. If you were gone, take a look at this photo album. Periods 1-4-5: Benson will explain various hazards associated with volcanoes as students take notes. If you were gone, take a look at this photo album. Periods 1-3-4 will watch a video - "Mystery of the Meagavolcano". If you were gone, be sure to watch it HERE. Question of the week: What are the three basic types of volcanic activity? Provide an example of each. What happened at Lake Nyos? January 17-19 - Finals Week! Notice: The optional assignment for January is 1-17 page 275 (honors 1-10 p. 222-223). This will replace your lowest non-test score for the quarter. If you get it in by January 19, it will apply to second quarter. If you get it in by January 31, it will apply to third quarter. Students will take notes (on handout) as Benson continues to explain Plate Tectonics. Attention honors students: No MESPOWs this week. Students will do a group problem-solving activity related to the movement of tectonic plates. 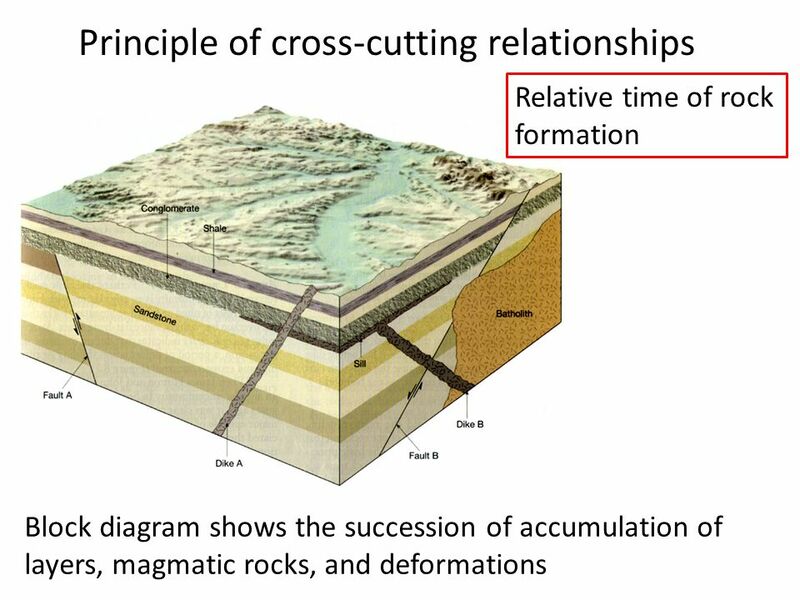 We will review several concepts related to plate tectonics, and then Benson will explain the different types of geology that takes place at different types of plate boundaries. Benson will tell students about the test, provide a review sheet, and then we will do a Kahoot review. Question(s) of the week: What is a zone of subduction, and what are the various features and activities that take place there?